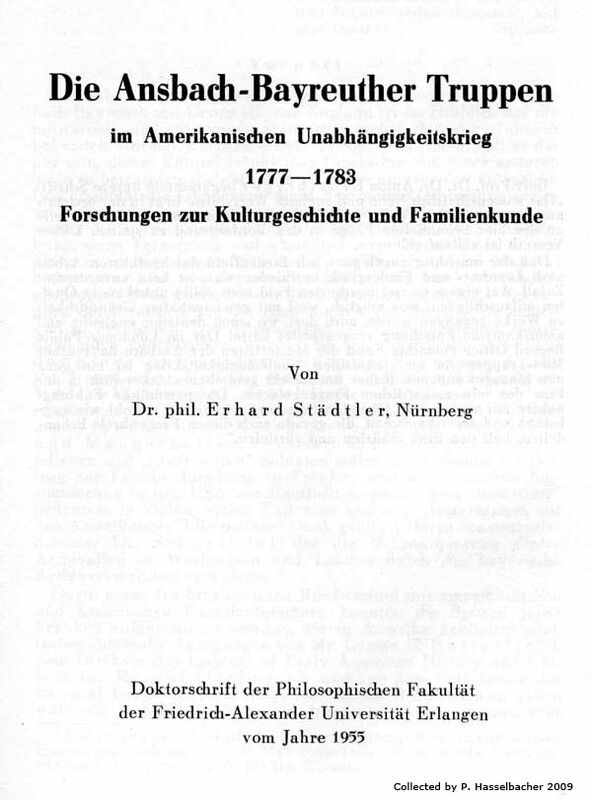 Here is the page from Städtler's list of Deserteure, Überläufer und Neusiedler in Amerika containing the name of Peter Hasselbacher. 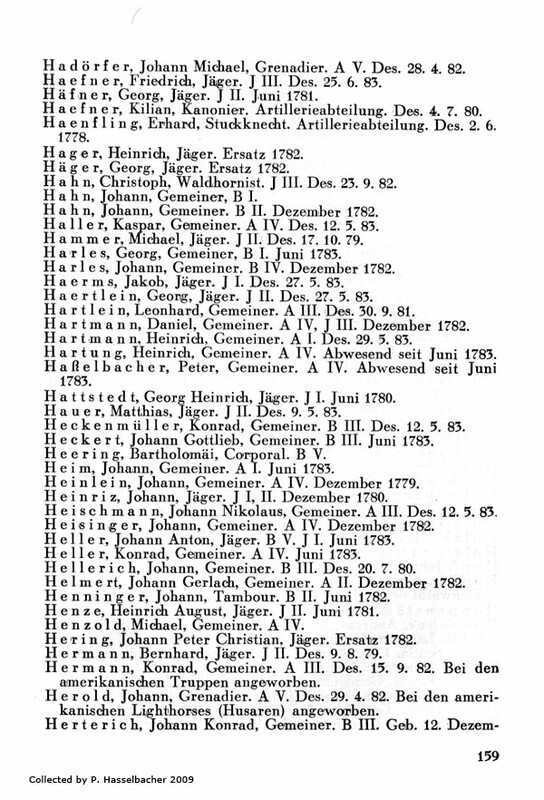 Here is a page from a muster list of returning soldiers in 1783. 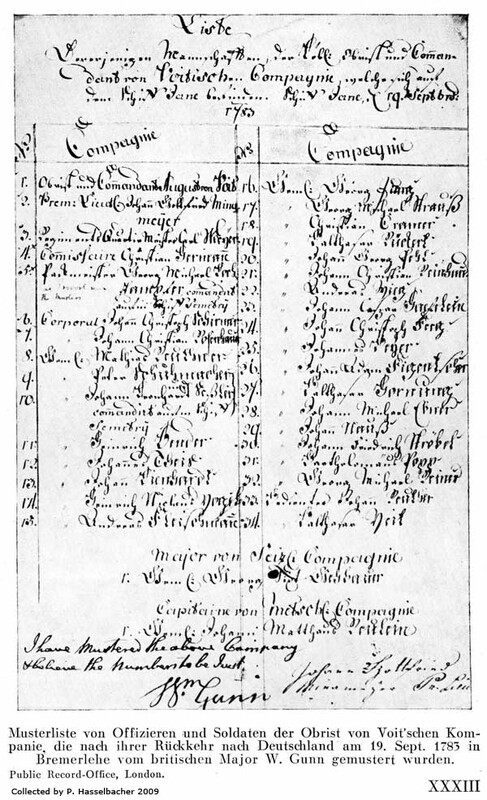 A list presumably similar to this one for departing soldiers in 1777 also exists in the Public Record Office!